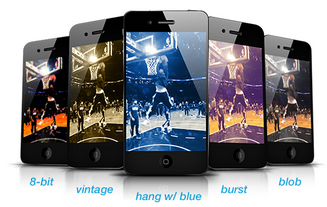 MEDL Mobile (OTCBB:MEDL) today announced a major upgrade to its live streaming social video application Hang w/. “Livecast Filters” was the most requested feature by the millions of Hang w/ users. This new feature allows users to turn their world into a retro-game with the “8-Bit” filter, or amplify their world with the new “Color-Burst” filter. In addition, MEDL has developed a revolutionary “Save to Phone” feature that allows users to livecast to all of their followers and then save the high-quality version right to their phone. MEDL is continuing to improve its Hang w/ app with appealing and revolutionary features at a rapid pace, while consistently expanding its celebrity network and user base. MEDL announced in late 2014 that it signed a LOI for the sale of its Custom Development Division to BBK Holdings (see full press release here) and thus bringing the mobile expertise and tool chest of MEDL Mobile under the BBK umbrella. Based on this agreement, MEDL Holdings would receive immediate operating capital and the opportunity for an ongoing revenue stream. The process is ongoing and once the agreement has been finalized, “Hang w/ will be able to move forward with the full resources and efforts of the parent company, MEDL Mobile Holdings, and focus on building the greatest live social video platform on the planet. With the continuing development of MEDL’s revolutionary mobile live broadcasting technology, we expect MEDL’s share price to catch up with the true value of the company and it’s technology soon. Please pass this report on to your friends and colleagues.